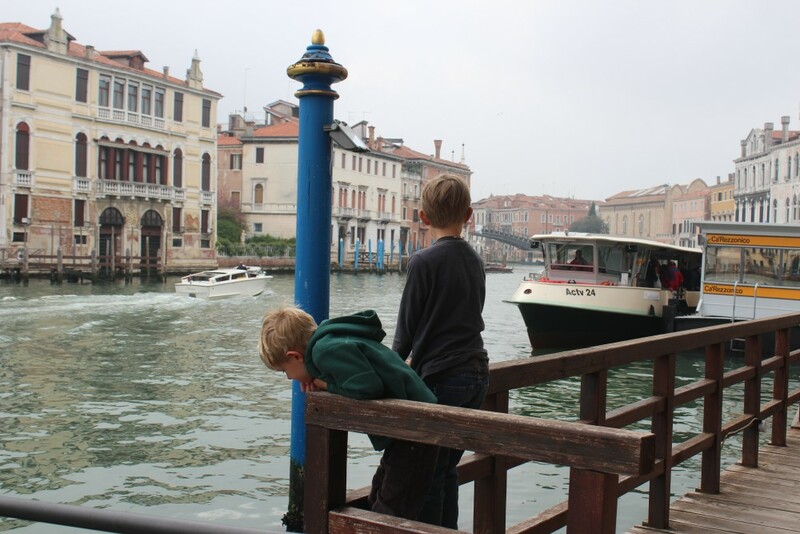 Surviving Venice with kids – without falling into the Grand Canal! It’s one of the beautiful cities of the world and holds the same mysterious and romantic pull as places like Paris and Rome, but with the added complication of water hazards for kids! It’s also endlessly bombarded by millions of tourists each year. I wasn’t sure if it was really possible to go visit Venice with kids and enjoy it? Or without losing a curious child into the Grand Canal?! And so, when we decide to spend a weekend there so that the kids could see the city with no roads and only boats for transport, it was with some trepidation! The first thing about Venice is that it is expensive. You can’t get away from that, just accept it and try to save some pennies where you can. Try an apartment instead of a hotel room, they are still expensive but that way you can save money on food and cook most of your own meals. And the kids have a bit of space to move and play. And check out our reviews which give you info on what ages kids go free until and which are free for all the family! 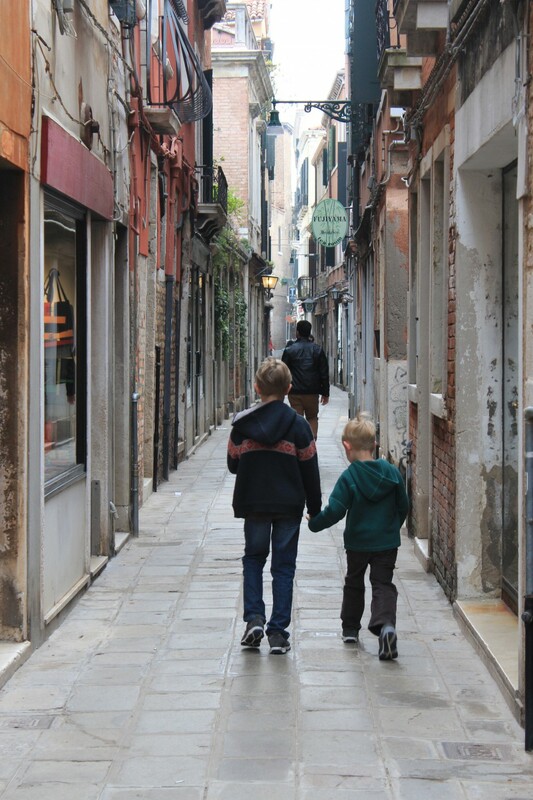 When choosing what area to stay in when you are in Venice with kids, there are a few things to consider. Firstly how good at walking are your children? There is a lot of walking in Venice and prams are difficult as there are so many bridges to go up and over. If you want to avoid too much walking, then try to stay near a vaparetto stop. Secondly, what do you really want to see? If you are going to Venice to see the main ‘must see’ spots (St Mark’s Square, gondola rides etc), then you will probably want to stay in that area. But be warned – it is overcrowded and really quite overwhelming. I found it difficult to enjoy the scenery without losing sight of the kids in the hoards of people. Our favourite area is Dorsoduro. It isn’t crowded and links really easily into the vaporetto routes. This is the Venice I really fell in love with….winding picturesque streets that you can wander easily , not too many people and the joy of discovering another bridge on another canal around every corner. Waiting for the vaporetto – are there any fish down there? The best way to get around is to use the vaporetto – very likely the most expensive public transport in the world, but hey, it is pretty and a one of a kind experience! We bought the 24 hour pass which is €20 for one day, €30 for 2. This was great value and we used it to travel up and down the Grand Canal. The disadvantage is that it is full price for kids 6 and over though, so can be quite expensive for a family. You need to plan to use it a bit so that you get good value. In one day we took the Vaporetto 1 and 2 up and down and Canal and went across to Murano for the free glass blowing demonstration, which was wonderful for the kids. We got on and off many times and we also returned at night to cruise up the Grand Canal to see all the lights. Of course, the best thing is to read the reviews from other parents and see what they felt worked for their family, and then decide where it is best to spend your hard earned dollars. To see what worked for us, check out my reviews on Saint Mark’s Square, the Square Campanile, the Doge’s palace, Rialto Bridge and the Murano glass blowing demonstration. Let’s face it, eating out with kids in Italy is a dream – pizza, pasta and gelato!Pizza is your cheapest choice and you can buy it by the slice at little shops everywhere. We found the pasta a bit hit and miss – some was good and some was really awful. As always the touristy areas fared badly with food but we ate in a wonderful little restaurant right near out house in Dorsoduro. There were lots of locals there – always a good sign – the service was great and the waiter so helpful and generous to the kids. This was in stark contrast to the terrible meal we had near the Rialto Bridge the day before – average pasta and a waiter who didn’t seem to care if we existed or not! And we saved our pennies by buying a box of cereal, some milk and some lovely fresh fruit and having breakfast at home. We spent two days in Venice with kids and although we were very busy both days, we thought we saw a lot and really got to experience the city. For us, a longer period would have blown the budget and really, you can’t spend hours looking through the Palazzo’s and art galleries with kids (our one attempt at a Palazzo didn’t go well! – see my review here). 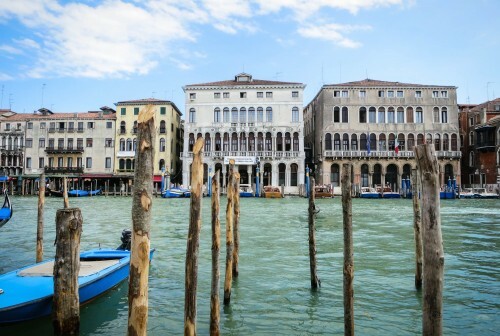 But there is enough on Venice and the surrounding islands to keep you busy for a week or more. Slow the pace down and sit and enjoy the hidden parks and squares. We loved Venice and the kids did as well (although we did get a lot of “Oh no, not more walking!” from the 5 year old! ) It turns out that my trepidation of an overcrowded and touristic Venice was unfounded, and I was so happy that we went and found the beautiful Venice that is hidden away from St Mark’s Square. And th ebest news – no-one fell into the Grand Canal, or any other Canal for that matter. Everyone was sick of me saying “Come away from the edge boys!” on our first day, but I very quickly became comfortable with them peering over the edge and into the water! Have you been to Venice? Share your knoweldge by adding your reviews to our Venice attractions or add a new attraction if you’ve been somewhere that we haven’t listed yet! Heading to Venice? 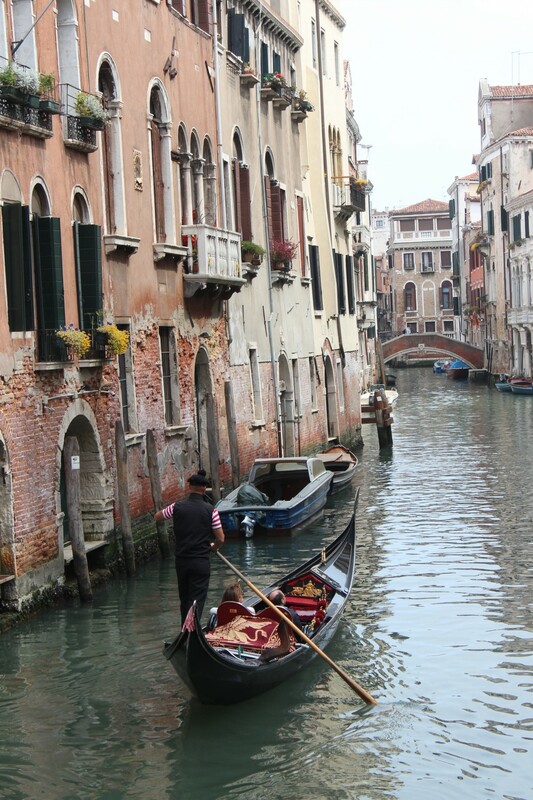 See all the reviews for attractions in Venice here.